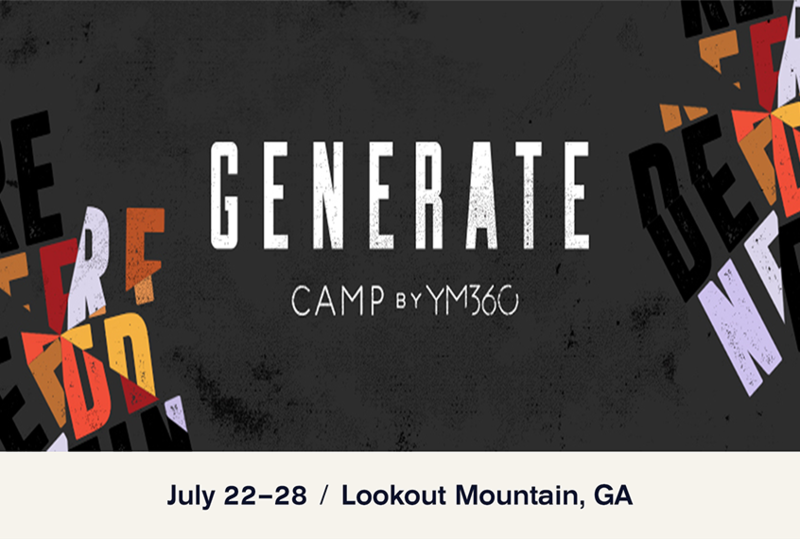 Generate Conference in Lookout Mountain, GA is coming this summer 2019! Here at PAC Youth, we operate under a 3-year cycle for our major summer event. We do two local mission trips, and the third summer we do Generate Conference. Generate is a large student discipleship conference with thousands of other students in attendance. It features Spirit-led worship, powerful teaching by world-renowned speakers, meaningful small group discussions, practical workshops, and prayer opportunities, not to mention lots of fun and fellowship with other teens from all across the country. Students are challenged to take the next step in their relationship with Jesus. This experience is all about creating lasting life change. This is a once and a lifetime opportunity for your son or daughter to take their faith to the next level! Please believe us when we say we wouldn’t want your child to miss out on this amazing experience! If you'd like to get started with the registration process, take a look at the information page and complete the student event form. If you have any other questions, Beverly, would be happy to assist you via email or by phone at 609.799.9000 x47.